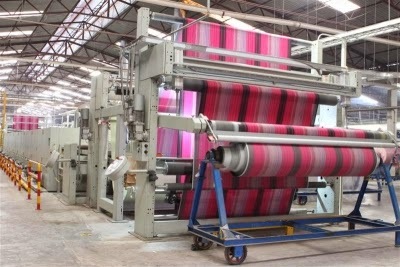 Stentering is a mechanical finishing process of textile. It is done for the stretching of fabric by the stenter machine. In other words we can say stentering is done for gripping the edges of a moving web to support the web during heating and stretching operations.